I have always been fond of a mountainous terrain. My time in places like the Andes, Yosemite and even here in Washington state have shown me just how much I really enjoy the landscape. There’s nothing like standing at the bottom and looking up at something so monstrous that nature created. That being said, Nepal is definitely on my bucket list. I haven’t made it there yet but I certainly plan to. From the stunning views in Himalayas to the lively capital of Kathmandu. I see so many opportunities for cultural experiences and adventures unlike any other. So maybe Everest is bit of a stretch, but I wouldn’t let that stop me from getting out and exploring the untamed beauty of the Himalayas. After all Nepal is one of the best trekking destinations in the world. Offering all varieties of trekking experiences that are much more affordable than Everest. From the diverse cultures, historical heritages to beautiful forests, mountain landscapes to cascading waterfalls, exotic wildlife to terraced farmland. If you enjoy the outdoors there is something here for everyone. 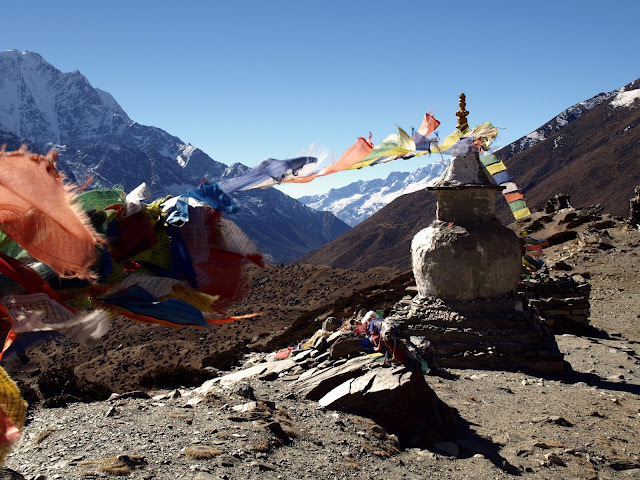 Some of the longer more intense treks include Manaslu trek, Poonhill trek, Annapurna trek, Royal trek and many more. Some of those hikes may seem a little intense for some, as they are five to ten-day hikes depending on which one you choose. But in reality, most of the treks consist of hiking during the day and staying in local villages at night which in my opinion, helps lesson the burden of walking most of the day. The places you stay along the way are called teahouses and are often included in the cost of the trek. There are many things I want to explore in Kathmandu, but something at the top of my list is the Boudhanath stupa. Being one of the largest Buddhist stupas in Nepal definitely makes for interesting sight. Boudhanath is located about six miles from the city center on an ancient trade route from Tibet. 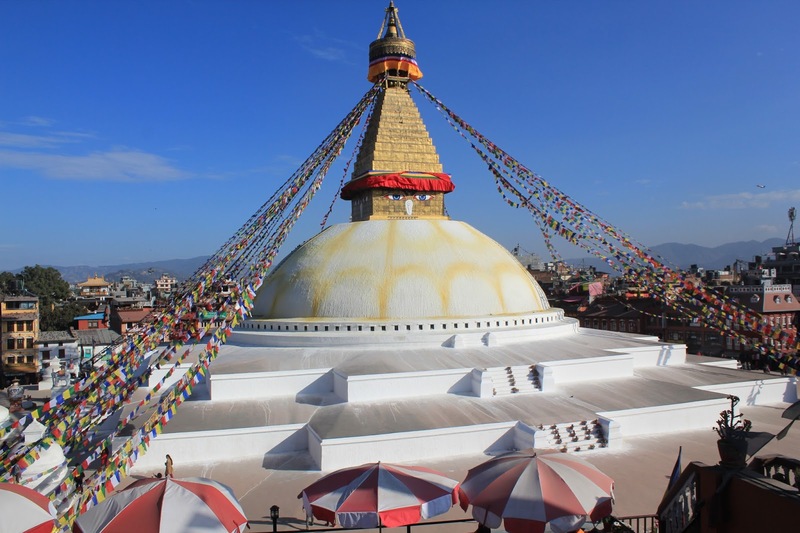 There is certainly some history behind Boudhanath that I would be excited to explore. Described as a very spiritual and cultural environment, I think it deserves a place on my list. 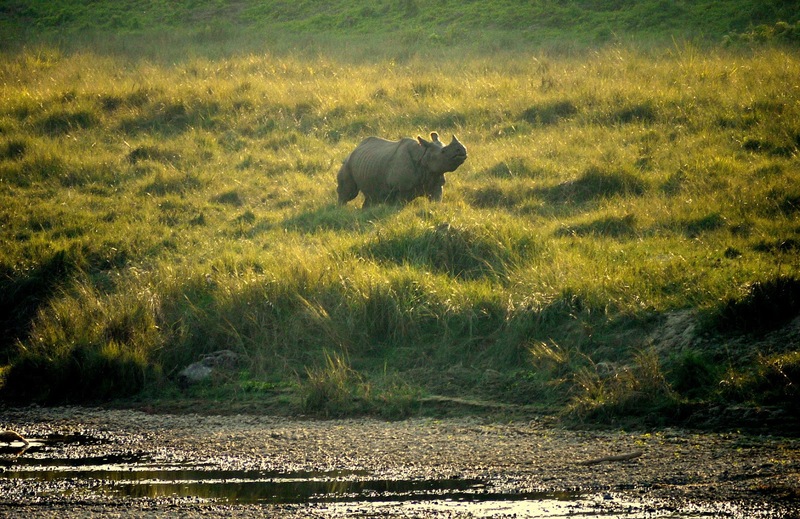 Did you know you can see wild rhinos in Nepal? Well you can, and you can find them at the Chitwan National Park. The park is three hundred and sixty square miles of preserved area in the Terai lowlands of south-central Nepal. Chitwan is home to many different species including the endangered one-horned rhinos, leopards and Bengal tigers. If those aren’t enough for you, it is also home to over fifty other species of mammals. Some of the more popular being wild elephants, the gaur, four horned antelope, sloth bears, striped hyenas and even South Asia river dolphins. Along with various species of snakes, birds and butterflies. All of that doesn’t even come close to everything the park offers, but it’s more than enough to get me singed up. Everything I’ve seen about the park has me super excited to visit, except for one thing… They do offer elephant safaris which involve riding an elephant through the jungle. It sounds incredible when you say it like that but there is often a much darker side of what goes into elephant rides. They often train them with very harsh methods. Not to mention the weight of the saddle and passengers. I won’t go into too much detail, but I highly recommend doing some research before deciding to ride an elephant anywhere. That being said, the parks conservation and anti-poaching efforts are incredible. Being well funded by tourist money is also what protects all of the wildlife you’ll see here, including the elephants who have a safe habitat from poachers and the developing world. But sadly of course they are not always treated well and I personally do not support the mistreatment of any animals and therefore do not recommend supporting the elephant rides. But the park offers many other safari options and ways to support the wildlife without harming it. 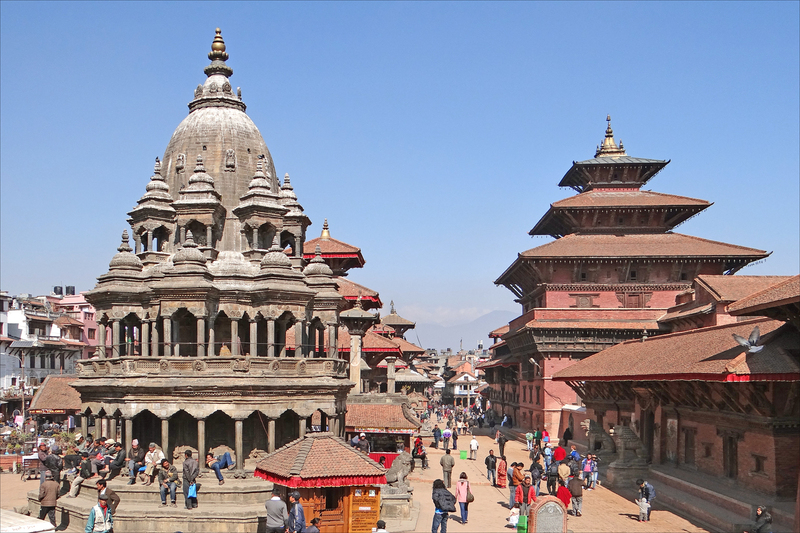 Just an hour outside of Kathmandu, and over the Bagmati river you’ll find the magnificent temple filled city of Patan. The ancient city is full of old brick lanes leading to breathtakingly pretty squares and courtyards. Often called a Durbar square, these courtyards usually consist of temples, idols, water fountains and more. These squares are the remnants of a time before Nepal was unified and was instead broken up into small kingdoms. The squares served as palaces for these kingdoms. Aside from the marvelous architecture, Patan seems to have plenty of rich culture and history that I always look for while traveling. I would love to make it there during the Krishna festival in august to experience the mass celebration. Let’s be honest here, I don’t think anyone in their right mind would travel to Nepal and not want to see Everest. It’s the tallest mountain in the world for crying out loud! Of course, not everyone has the ability or time to trek for a week to catch a glimpse. And even if you do, it might still be worth considering one of the scenic Everest flights. Flying at an altitude of seven thousand meters gives you an eye level view of the mountains. 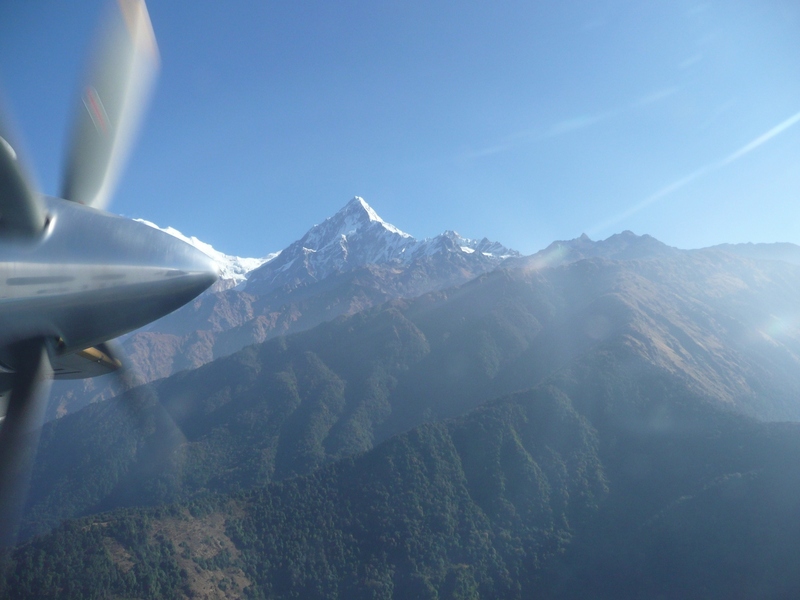 The flight typically lasts an hour, taking you around many of the Himalayan giants. At first I was worried about how affordable these flights were, but after doing some research I found that they are much more affordable then you would think. It’s hard to put a price on a once in a lifetime opportunity like this anyway. On another note, I have heard stories of these flights being notoriously turbulent. Just adds to the fun I guess. Buckle in and hold on! Oh fun! Have a blast and come back here to add any tips you pick up while there! Agree. 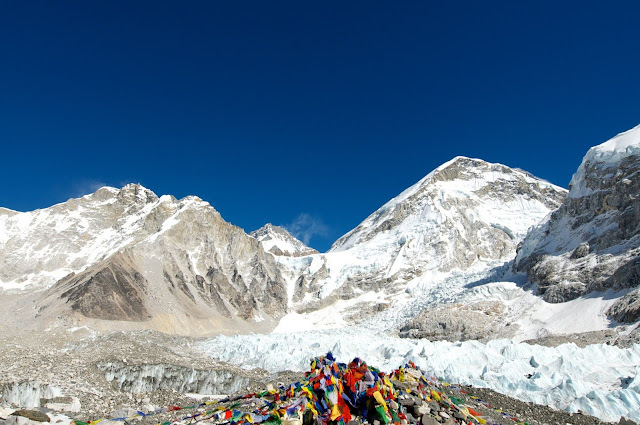 Everest is one of the must-see spots in Nepal. Sounds like a great place! The pool is incredible! Great blog post, thanks fro sharing. I also love to travel and I've recently switched to a healthier lifestyle and training for a race with SportMe running app, which calculates distance, time, pace and calories. Finding new running routes is always a challenge, such as sneaking in my runs into my destinations. Your blog posts are a true inspiration.